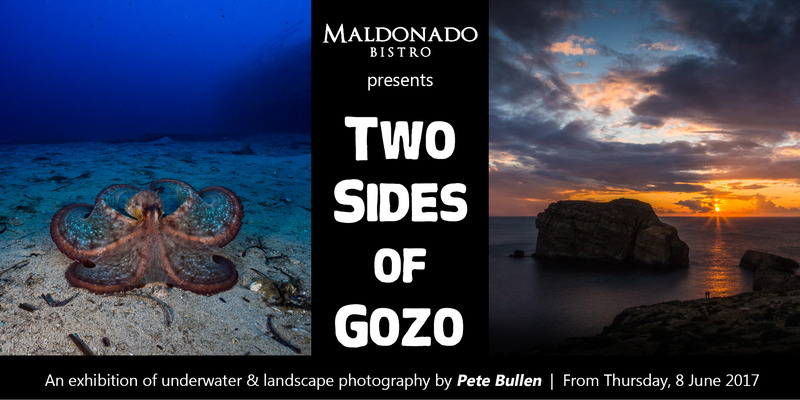 Maldonado Bistro is pleased to invite you to an exhibition of underwater and landscape photography by long time Gozo resident Pete Bullen. 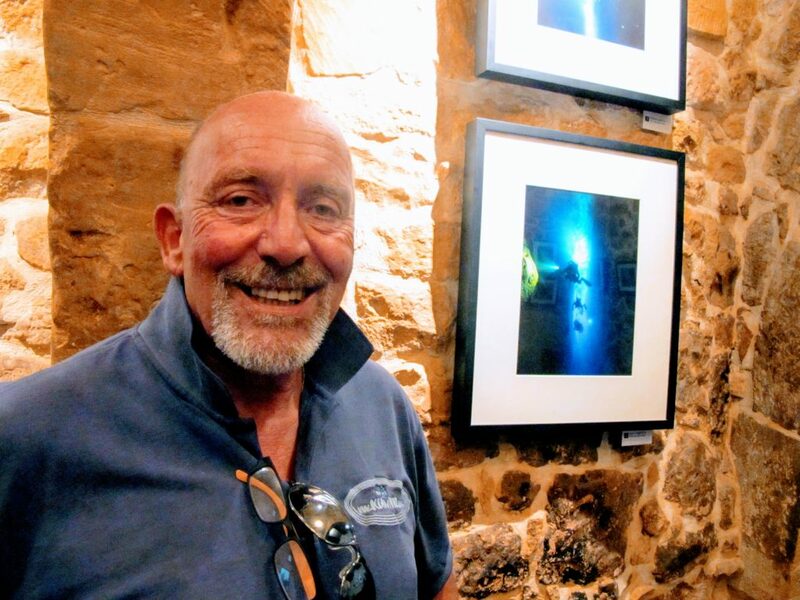 Pete moved to Gozo six years ago after 30 years working in IT with a sideline of photography to keep him sane. Photography and diving have been two of Pete’s major passions for most of his life. Pete took his first photograph at the age of six and was equally inspired by Jaques Cousteau at around the same age. He now makes a living sharing his love and knowledge of photography and the natural world with clients from all over the globe.  Pete’s work has been published in magazines, books, newspapers etc. as far afield as Hong Kong, Dubai, and London and he has won many awards for his work both above and below the water. The exhibition is expected to run until mid-July 2017.